Just to prove we don&apos;t only talk the talk. W Kuala Lumpur has six delectable venues for you to choose from. YEN offers an imperial ambience with a contemporary take on traditional Cantonese recipes and a wide selection of fresh seafood. The energetic all-day dining restaurant, FLOCK, showcases an extensive open kitchen where expert chefs serve up Australian, farm-to-flock dishes featuring organic produce and a focus on sustainable eats. For inventive bar bites and meticulously crafted cocktails, WOOBAR is a chic all-day social space perfect to fuel up and stay longer. 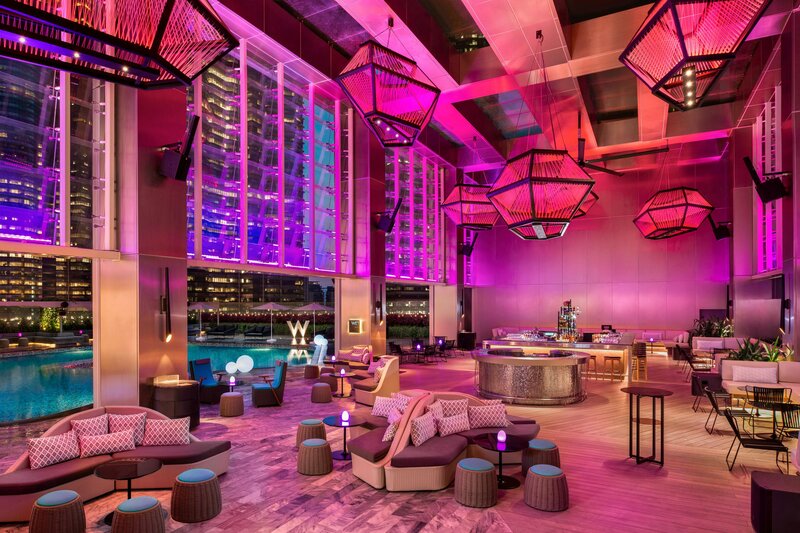 Set to be the best spot to see and be seen in Kuala Lumpur, the WET® Deck pool bar features creative concoctions, with breathtaking views of Petronas Twin Towers as its stunning backdrop. 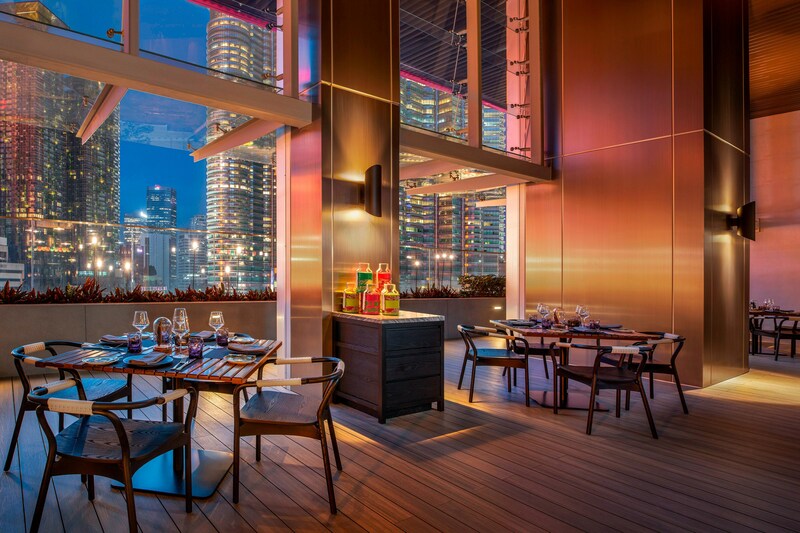 W Kuala Lumpur will also offer two privately-managed dining and entertainment venues including SAINT PIERRE, a French fine dining restaurant that has already earned a Michelin star at its Singapore location, and discover upbeat events with international & local DJs at WICKED Club. Packed with the sass of a speakeasy, it masquerades during the day as a charming rendezvous for hi-tea from 3PM – 5PM daily. In evening, it seduces pleasure seekers to let loose in its exhilarating vibe while imbibing the meticulously crafted cocktails. For dining reservation, you may email to bf.wkualalumpur@whotelsworldwide.com or contact us at 60 3 2786 8888 ext 3458, or 60 12 347 9088. We&apos;re here for you 24/7. Our 24-hour in-room dining service presents a menu featuring the best of our restaurant and customized in-room offerings. Just a buzz brings our epicurean offerings to your doorstep. Snuggle up! Flock is a vibrant and energetic all-day-dining restaurant where our chefs express their imagination to the max. Break your fast in style and indulge in fab flavours at nightly spread. Book your table now and enjoy 10% off on early bird specials. Chinese classics redefined. YEN offers an imperial ambiance elevated by an avant-garde concept. 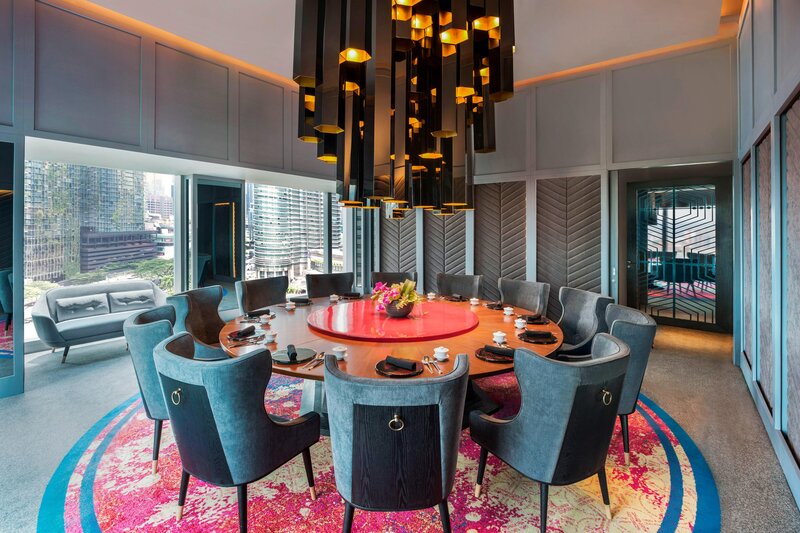 This accomplished Cantonese restaurant is conducive for a harmonious dining experience that is both sociable and sophisticated. 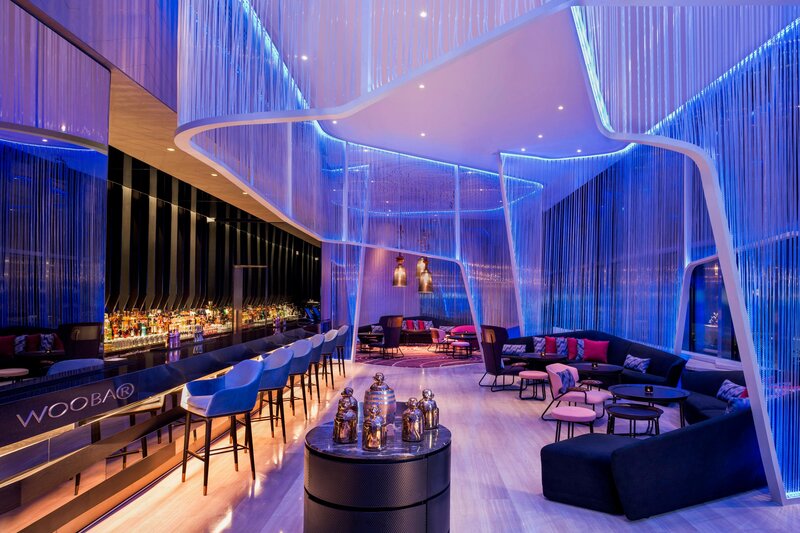 A stylish bar lounge that transcends traditional pool deck bar expectations with its harmonious blend of cutting-edge mixology and bold modern design. Come and linger in your sexiest smart casual from 6PM to 1AM daily. Saint Pierre is a contemporary French restaurant of timeless elegance and refined vogue featuring modern French cuisine with Asian-inspired elements. WICKED, the new VIP club, will create an upbeat atmosphere with its programming for different crowds.